Pressure cleaning in Overland Park, KS is one of the most cost-effective ways of maintaining your home exterior. If you add it to your list of maintenance procedures, your home will always look clean and remain appealing whatever the time and season of the year is. However, if you want to achieve the cleanliness that you expect, make sure that you employ only the services of professional pressure cleaning companies. Enhanced Curb Appeal – Pressure cleaning in Overland Park, KS ensures that your home’s exterior will remain beautiful and clean. Regardless of the season, you will never lose that curb appeal. 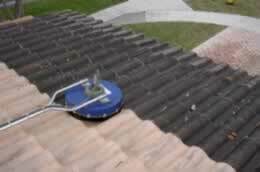 Cost-Effective Maintenance - Overland Park, KS pressure cleaning is a cost-effective solution in maintaining your home’s exterior. Not only that but regular pressure cleaning in Overland Park, KS will save your pocket from costly repairs. Mold Removal – Pressure cleaning in Overland Park, KS is an effective and practical way of eliminating mold and mildew buildup. The water sprayed by pressure washer can cut through thick mold and grime without causing damage to the surface.